Huan Sheng Technology is professional in precision plastic injection, mold design and fabrication. Since 1983, our team had been through the evolution of plastic injection. From the beginning of manufacturing plastic toys to home appliance, computer mouse, keyboard, notebook, scanner, cable modem, laptop, PDA, GPS and cell phone battery frame, and etc. 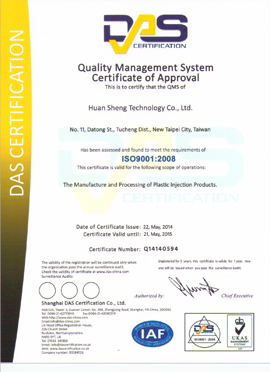 Since 1999, we not only started light guide injection in clean room environment but also molding machine renewal for the requirement of smaller, lighter and thinner products. Meanwhile, we set up a plastic mold department to meet customer demand at that time. We always provide quality products and service to clients. Additional services including painting, ink printing, hot stamping, electroplating, plastic heat-melt, ultrasonic process and nut-embedding, and etc. We keep the attitude of providing quality products, being responsible, efficient and creative to clients. 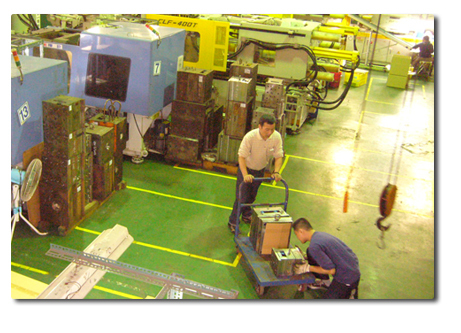 For each mold, we develop complete records and standard management. For each product, we build SOP,SIP and quality control system to manufacture quality & competitive products to clients. We look forward to improving and creating a win-win outcome with clients.